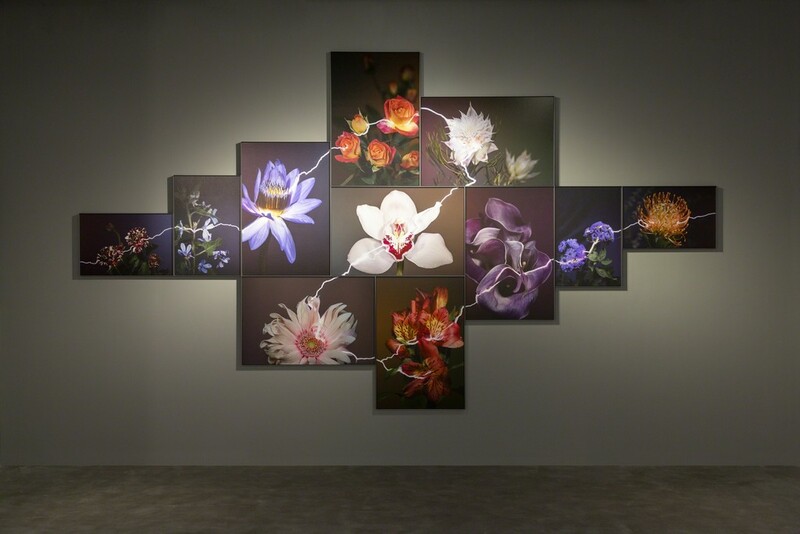 Stage by stage, the presented three groups of artist Hu Weiyi’s latest photographic series “Tentacles” reinforce and interconnect with one another, circumscribing the exhibition space. 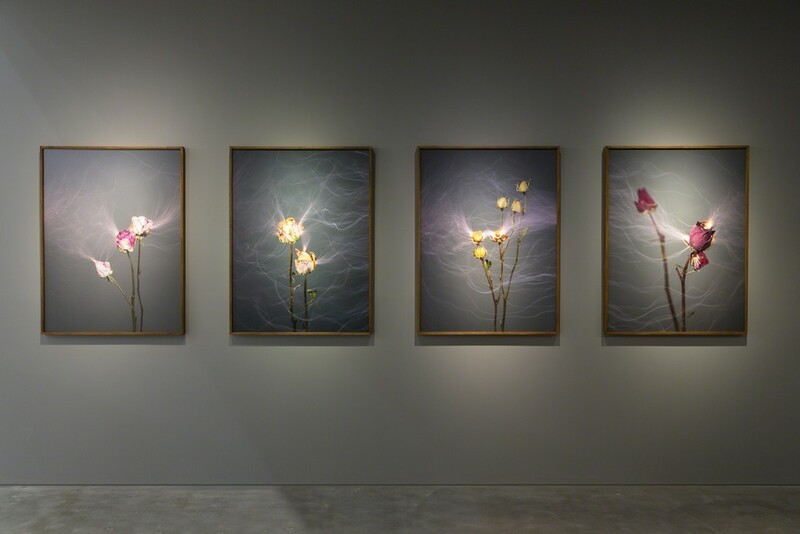 A+ Contemporary is pleased to announce the presentation of artist Hu Weiyi’s latest photographic series “Tentacles” at West Bund Art & Design. 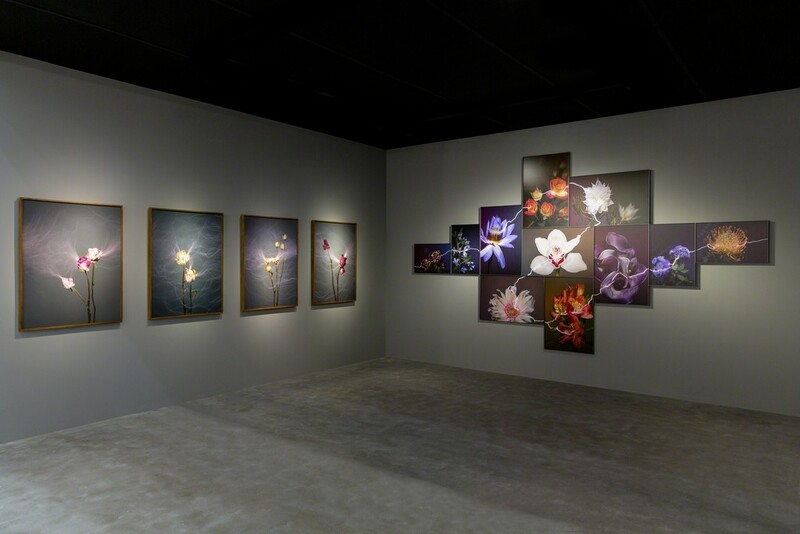 Stage by stage, the presented three groups of works reinforce and interconnect with one another, circumscribing the exhibition space. 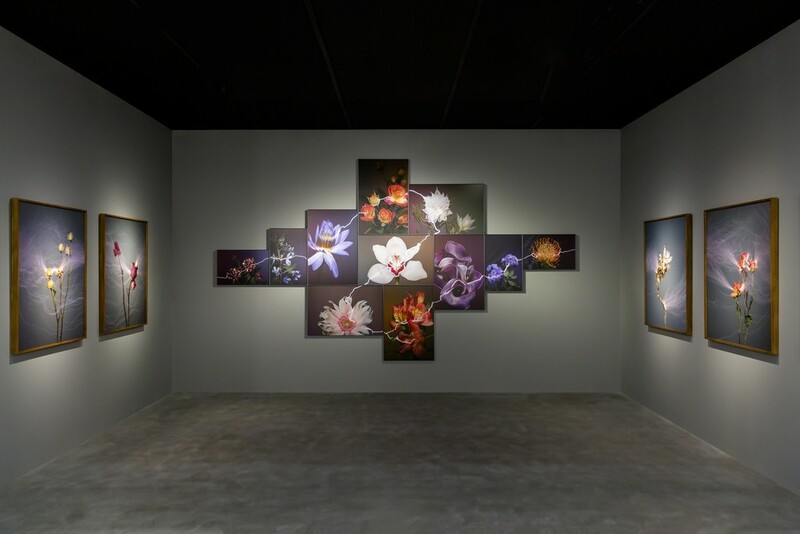 Fleeting and transitory as they were, the works unfold an in-between state where the whimsical interweave with the traumatic, inviting viewers to step inside a dreamy yet highly-tensioned site. 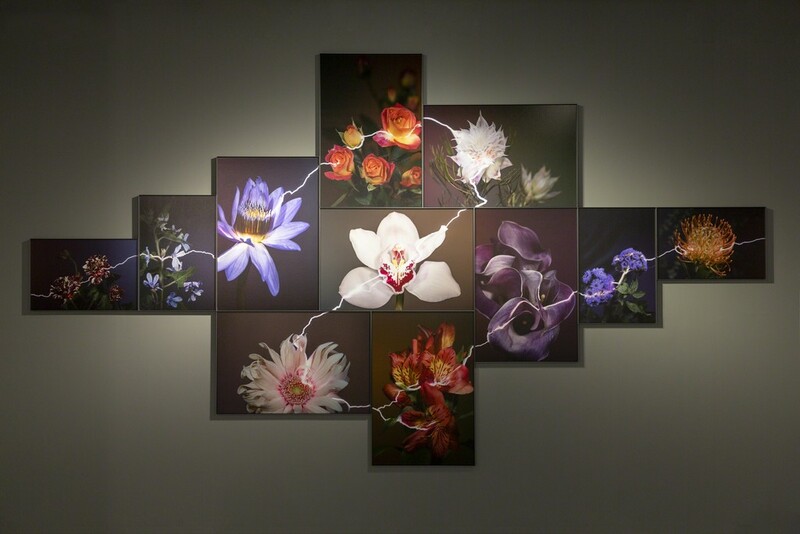 With the uses of flowers and man-made lightening, artist bounds two desperate elements inside his works, unfolding various contradictory sites where tension, pain and danger oscillate. 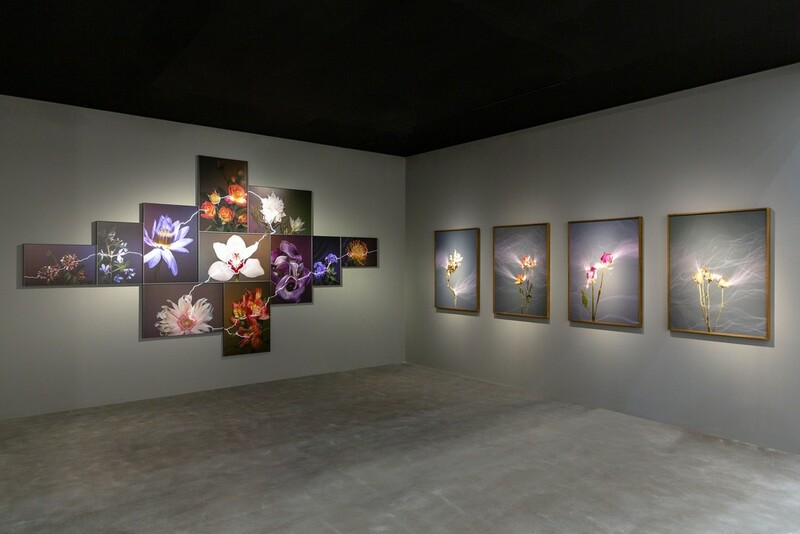 Lightening penetrates the flowers with rigorous forces, threading the eponymous photographic work on the central wall into a coherent whole. 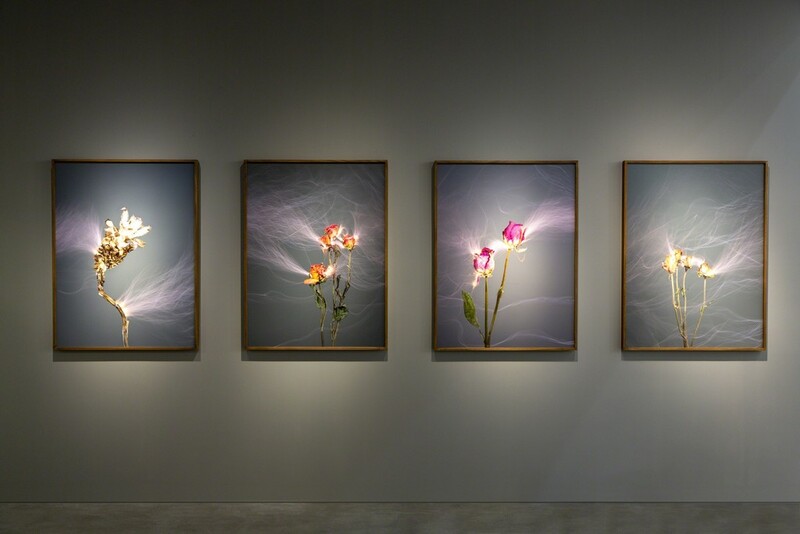 Echoing with “Tentacles”, “Rustling” replaces the blooming floras with the withered ones, where lightening becomes the ethereal electric streams that are modified through subtle transformations. 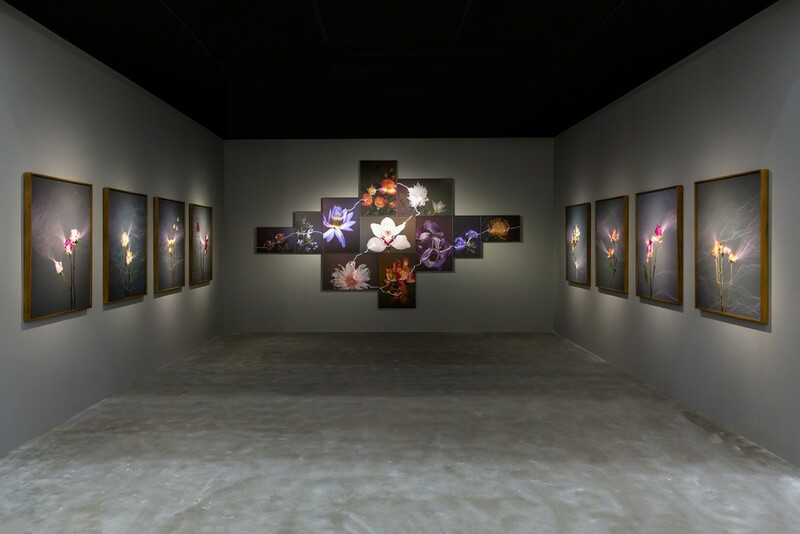 High-voltage electric currents entwine with the lightening, as if the countless tentacles, besieging and greeting the audience with their true forms.